Kay Day provided this photo of an outing her mother, aunt and granny Ford attended, she believes it was a Brentford group. Everyone looks happy, lots of smiles, a bucket and spade (front row) shows it was a seaside trip. There is a sign top left for '...ean Co Ltd' or may be it is '... icecream Co Ltd' and a bridge in the background. 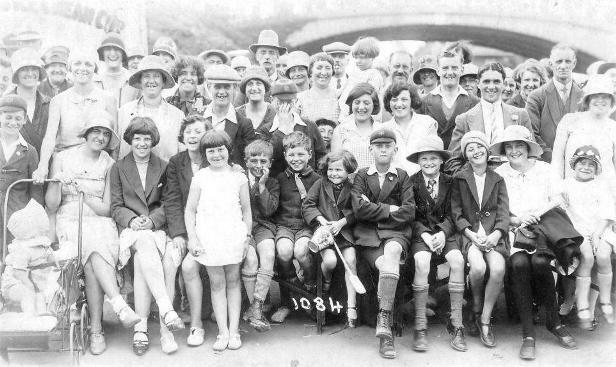 If you recognise anyone please or can suggest the location get in touch.